Nitrous oxide is a colorless, sweet-smelling gas. It is used as a mild anesthetic, often called laughing gas. 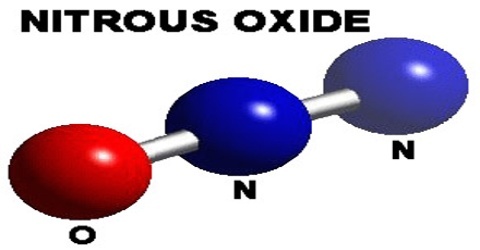 Nitrous oxide occurs naturally in the atmosphere and is a greenhouse gas. It is a chemical compound, an oxide of nitrogen with the formula N2O. 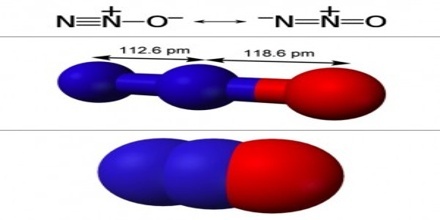 At elevated temperatures, nitrous oxide is a powerful oxidizer similar to molecular oxygen. Nitrous is commonly used in dentistry due to its anaesthetic (painkilling) properties. At higher concentrations, nitrous acts as a dissociative drug which causes a sense of euphoria and both visual and auditory hallucinations. At high temperature, nitrous decomposes into its component atoms allowing use as an oxidizer or conversion into breathable air. Nitrous is also a greenhouse gas naturally emitted by fertilizer and implicated in global warming. 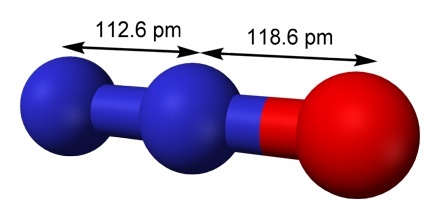 Nitrous oxide, also known as N2O, has a molar mass of 44.0128g/mol. It has a melting point of -90.81 degrees Celsius, and a boiling point of -88.46 degrees Celsius. Nitrous oxide is colorless and has a slightly sweet Oder and is highly soluble in alcohol, ether, oils, and sulfuric acid. The density of N2O is 1.799 g/L at 25 degrees Celsius and standard pressure. It contains two nitrogen atoms and one oxygen atom. The percentage composition by mass is 63.64% nitrogen and 36.35% oxygen. It has a covalent bond. It cannot produce profound surgical anesthesia. It can be used as a substitute to local anesthesia in minor procedures, small restorations and a supplement to local anesthesia but not in extensive procedures (extractions). It is highly insoluble in blood and water resulting in quick absorption and elimination by the patient. Ninety-nine percent of its elimination from the body is through the lungs without significant bio-transformation has minimal effect on other organ systems. Is non-flammable, however, it can support combustion. If placed near an open flame, will burn brighter. The gas was first synthesised in 1772 by English natural philosopher and chemist Joseph Priestley, who called it phlogisticated nitrous air. Priestley published his discovery in the book Experiments and Observations on Different Kinds of Air (1775), where he described how to produce the preparation of “nitrous air diminished”, by heating iron filings dampened with nitric acid. Common uses of nitrous oxide include surgical, food service, chemical, and recreational purposes. Surgery – Many people experience nitrous in dental surgery. It acts as an anaesthetic when dispensed at the standard 2 to 1 ratio of nitrous to oxygen. It is often used with other anaesthetics. Dairy – The dairy industry uses nitrous as a mixing and foaming agent as it is non-flammable, bacteriostatic (stops bacteria from growing), and leaves no taste or odor. Under pressure, nitrous dissolves into the fat of the cream and expands upon release, effectively whipping the cream. Racing – Nitrous is sometimes used in auto racing. It is safe and stable at room temperature, but at ~600C it decomposes into a gas with 33% oxygen per unit volume. Atmospheric air has only ~21% oxygen and thus can burn less fuel in a given volume. 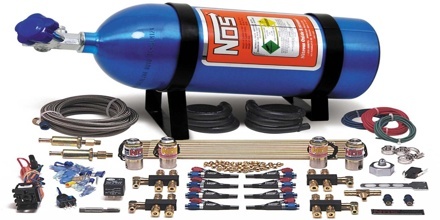 Diving – Nitrous is occasionally used in diving to prepare divers for the nitrous-like effects of nitrogen narcosis. Due to recreational use laws, this is illegal in California and likely all of the United States. Recreation – Nitrous is commonly used as a short-term euphoric high which features audio and visual strobing effects. This use is generally illegal. Reference: dentalcare.com, justsayn2o.com, dictionary.com, wikipedia.